Neurons, both in the CNS and the peripheral nervous system, are vulnerable to alterations in environmental conditions. 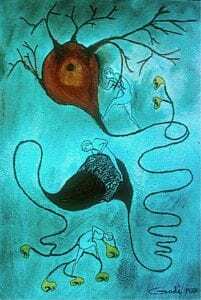 Neurons may succumb and die as a result of lethal genetic changes or harsh environmental insults resulting in permanent functional alterations or complete loss of functions. In other words, functional recovery ultimately depends on nerve cell resilience and capability to survive and recover. Clearly, maintaining nerve cell resilience is mandatory for nervous system health. One way this may be achieved is by providing fortifying nutrients directed at sustaining the cell's own molecular mechanisms that underlie the viability and survival capabilities of neurons. In ground-breaking laboratory experiments, Dr. Gad Gilad and Varda Gilad the founders of our company, discovered in 1994 that the unique molecule agmatine is endowed with neuroprotective properties for nerve cell survival. Their discovery led to clinical trials, which demonstrated that dietary G - Agmatine® (Gilad&Gilad's proprietary brand of agmatine) is safe and most effective molecule supporting nerve health and a good quality of life, for which normal peripheral nerve functions are fundamental (Keynan et al., Pain Medicine 11:356-368 2010). A selective reference list of scientific articles is available at the end of "Agmatine" section on this page. Peripheral nerves - the motor, sensory and autonomic nerves, connect the brain and spinal cord (i.e., the central nervous system) to muscles, skin and internal organs. Normal peripheral nerve activity is critical for proper sensations such as pain, touch, cold, heat etc., sense of balance and motor (muscle) performance. The structure of peripheral nerves may be compared to a cable containing numerous axons. Signals propagate from the body organs to the spinal cord and brain and then back along these axons. Protecting Healthy Nerve Functions - Clearly, protecting normal activity of axons (termed axonoprotection), and their parent neurons (i.e., neuroprotection) is fundamental for healthy bodily functions. Further information may be found at: http://www.ninds.nih.gov. For example, variations in sensory functions are often the consequence of uncontrolled changes in either the central or the peripheral nervous system, but are more common when the peripheral nervous system is involved. Various factors can jeopardize peripheral nerve function. Some are more localized or focal, affecting only few nerves, but other factors are more pervasive, influencing nerves throughout the body. An example of focal factors' importance, is proper spine-nerve structure/function relationships, which are critical for normal sciatic nerve functions. Challenges to normal functions of this nerve, which innervates the leg and foot, are highly prevalent, affecting 2% to 3% of the population. An interesting anecdote is the description by the novelist and Nobel laureate Hermann Hesse of coping with sciatic nerve functions in his novel Kurgast (1925). Another common example is the importance of proper structure of the carpal tunnel in the wrist for normal functions of the median nerve of the forearm and hand. Yet another example is proper function of the facial nerve (the 7th cranial nerve), which controls the tongue's sensory functions and the muscles in charge of facial expressions. Further information may be found at: http://www.acatoday.org. • Metabolic functions such as: glucose or amino acid metabolism. • Nutritional requirements such as: low vitamin B12 intake or vitamin B6 surplus. 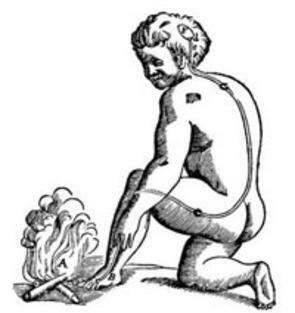 Overweight is a pertinent example of a widespread predicament that precipitates not only focal changes, such as spine-nerve structure/function relationships, but also general metabolic functions, such as control of glucose metabolism, thus posing a direct threat to normal nerve functions throughout the body. Maintaining healthy metabolism - Healthy metabolism is critical for proper nerve functions. Maintaining healthy metabolism is a dynamic process regulated according to varying energy demands of organs throughout the body in response to changes in the external and internal environments. This fundamental process, termed homeostasis, was discovered in the mid 1800s by Claud Bernard, the father of modern physiology. For example, imbalance of glucose (sugar) homeostasiscan lead to dire changes in normal nerve functions. Unfortunately, more than 20 million people in the United States alone cope everyday with circumstances that may pose great challenges to peripheral nerve functions. The Gilad's findings, therefore, have wide implications for a multitude of people worldwide whose need for an effective dietary supplement to support their nerve health remained unmet until now. Note: Animals are also susceptible to various harsh circumstances that challenge normal nerve functions. These are common in companion animals such as dogs, cats and horses. - Gilad&Gilad's exclusive AgmaceuticalsTM products contain G - Agmatine® and present first-of-kind products now available to fulfill these unmet needs. Discovery - Agmatine, a metabolite of the amino acid arginine, was discovered in 1910 by the Nobel laureate Albrecht Kossel. It is naturally produced by decarboxylation of arginine and therefore, sometimes termed decarboxylated arginine. Agmatine is widespread in nature and is found in microbial organisms, plants and animals. Presence in Foodstuff - Agmatine is present in foodstuff derived from plants, fish, and meat. It is found in relatively high levels in the gut and production by gut-dwelling bacteria (microbiota) is considered an important agmatine source. Agmatine sulfate, the commonly used salt of agmatine, is absorbed by the gut and distributed in the body including the nervous system. Like with arginine, which is a semi-essential or conditionally essential amino acid, depending on their health status, individuals who have poor nutrition or poor metabolic conditions may be advised to increase their intake of agmatine. Protective Effects - Laboratory experiments showed that treatment with agmatine exerts beneficial effects on various bodily functions. Seminal studies in the early 1920s demonstrated the mild reduction of blood glucose by agmatine. Further scientific research however, was renewed only years later. Of specific interest, is the substantial body of evidence beginning in the 1990s, demonstrating the beneficial effects of agmatine on the nervous system. These include the breakthrough discovery of neuroprotection by the Gilads and discoveries by others of proper control of pain sensations and of behavioral response to stress.Mild reductions in blood glucose and in blood pressure and heart rate, are additional beneficial effects that may be contributory to agmatine's salutary effects on the nervous system. Additionally, agmatine may exert beneficial effects on the cardiovascular system and kidneys. 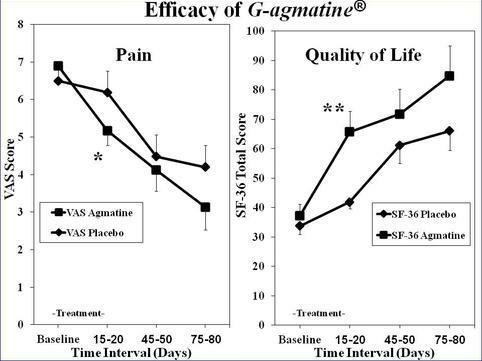 Importantly, results of our clinical trials, published in the journal Pain Medicine (Keynan et al., Pain Medicine 11:356-368 2010), demonstrated that consumption of dietary G-Agmatine® (Gilad&Gilad's proprietary brand of agmatine) is safe (lacking adverse side effects) and most effective for proper sciatic nerve functions and for healthy spine-nerve structure/function interactions, thus affording a good quality of life. -- Remarkably, the 2010 publication of the clinical trials coincided with the centennial of agmatine discovery by Albrecht Kossel in 1910, and established G - Agmatine® as a safe and most effective dietary ingredient. Recent studies further confirm agmatine lack of toxicity (Gilad and Gilad, 2013) and long-term safety (Gilad and Gilad, 2014). Moreover, no adverse events have been reported in post-marketing surveillance of thousands of people who are taking the recommended high dose of agmatine (2.67 gram/day) in the form of AgmaSet® capsules continuously for extended periods of time (years). 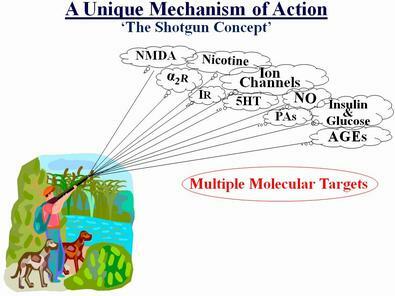 A Unique Molecular Mechanisms of Action - Agmatine exerts its beneficial effects like a Molecular Shotgun by targeting multiple molecular mechanisms. These molecular targets are of specific importance for proper nervous system functions (Piletz et al., 2013) and include: (A) modulation of several neurotransmitters - molecules that transmit nerve signals [notably: nicotine, glutamate (NMDA), and adrenaline]; (B) blockade of membrane channels that transport key salts into cells (notably: potassium and calcium); (C) regulation of nitric oxide (NO) production, a ubiquitous regulatory molecule; (D) modulation of polyamines metabolism, known neuroprotective molecules; (E) inhibition of advanced glycation end products (AGEs), a process that destroys extracellular proteins. A) In contrast to other dietary ingredients (including B vitamins or antioxidants), agmatine is endowed with exceptionally broad molecular effects that enable its general beneficial effects for a wide spectrum of challenges to nervous system health. B) There is no evidence that agmatine has any effect on muscle mass or exercise performance. Touting agmatine-containing products for bodybuilding is completely unsubstantiated and such claims are outright false and deceiving. and is considered the ultimate neuro-modulator. Present Research Efforts - Gilad&Gilad is presently engaged in conducting more clinical trials to substantiate the effectiveness of G-Agmatine® in other nervous system-associated activities. Piletz et al., Drug Discovery Today, 2013; 18:880-893. Cajal SRY. The Nervous System (Translated Ed. May RM). Oxford University Press. 1928. (Classic Principles). Cranford CS, Ho JY, Kalainov, DN, Hartigan BJ, Carpal Tunnel. J Am Acad Orthop Surg 2007; 15:537-548. Frymor JW. N Engl J Med 1988; 318:291-300. Raj PP, Intervertebral Disc: Anatomy-Physiology-. Pain Practice 2008; 8(1): 18–44. O’connor AB, Robert A, Dworkin H, ..: An Overview of Recent Guidelines. Am J Med 2009;122: S22–S32. 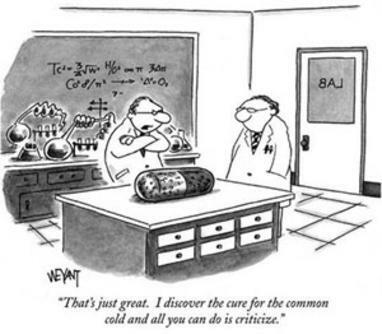 Park SB, Krishnan AV, Lin CS-V, Goldstein D, Friedlander M, Kiernan MC, Mechanisms ... Curr Medicinal Chem2008; 15: 3081-3094. Piletz et al., Agmatine: clinical applications after 100 years in translation. Drug Discovery Today 2013; 18:880-893. Kossel A, Über das Agmatin. Zeitschrift für Physiologische Chemie 1910; 66: 257-26. Izquierdopulido M, Hernandezjover T, Marinefont A, Vidalcarou MC. Biogenic amines in European bears. J Agric Food Chem 1996; 44:3159-3163. Morris B. Bio-functional legumes with nutraceutical, pharmaceutical, and industrial uses. Economic Botany 2003;57:254–261. Kawabata T, Obshima H, Ino M. Occurrence of methylguanidine and agmatine in foods. IARC Sci Publ 1978; 19:414-423. Frank E, Nothmann M, Wagner A, Uber synthetisch dargestellte korper mit insulinartiger wirkung auf den normalen und .... organismus. Klin Wchschr1926;5(45):2100-2107. Weitzel, G., Pfeiffer, B., Stock., W. ...effects of agmatine derivatives in adipocytes, H.-S. Z. Physiol. Chem 1980; 361:51-60. Gilad GM, Salame K, Rabey JM, Gilad VH. Agmatine is (effective) in rodent... models. Life Sci 1996; 58:PL41-PL46. Lortie MJ, Novotny WF, Peterson OW, Vallon V, Malvey K, Mendonca M, Satriano J, Insel P, Thompson SC, Blantz RC. 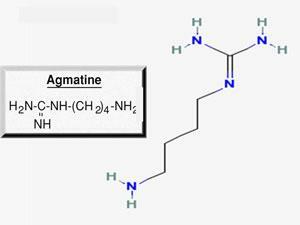 Agmatine, a bioactive metabolite of arginine. Production, degradation and functional effects in the kidney of the rat. J Clin Invest 1996;97:413-420. Gilad GM, Gilad VH. ...(effects of) agmatine (in) spinal cord ... in rats. Neurosci Lett 2000;296:97-100. Zomkowski AD, Hammes L, Lin J, Calixto JB, Santos AR, Rodrigues AL. Agmatine produces ... effects in two models ....(of) mice. Neuroreport 2002;13:387-391. Berenholz L, Segal S, Gilad VH, Klein C, Yehezkeli E, Eviatar E, Kessler A, Gilad GM. Agmatine ...(effects)... (in) facial nerve ... J Periph Nervous Sys 2005; 10:319-328. Steer H. The source of carbon dioxide for gastric acid production. Anat Rec 2009; 292:79-86. Halaris A, Plietz J, Agmatine: metabolic pathway and spectrum of activity in brain. CNS Drugs 2007; 21(11):885-900. (Review). Komori Y, Guillermo CW, Fukuto JM. Inhibition of purified nitric oxide synthase from rat cerebellum and macrophage by L-arginine analogs. Arch Biochem Biophys1994;315:213-218. Raasch,W, Schafer U, Chun J, Dominiak P. Biological significance of agmatine, and endogenous ligand at imidazoline binding sites. J Pharmacol 2001; 133:755-780. (Review). Haenisch B, von Kügelgen I, Bönisch H, Göthert M, Sauerbruch T, Schepke M, Marklein G, Höfling K, Schröder D, Molderings GJ,Regulatory mechanisms underlying agmatine homeostasis in humans. Am J Physiol Gastrointest Liver Physiol 2008; 295(5):G1104-1110. (Review). Keynan O, Mirovsky Y, Dekel S, Gilad VH, Gilad GM. Safety and efficacy of dietary agmatine sulfate.... An open label, dose-escalating study followed by a randomized, double-blind, placebo-controlled trial. Pain Med 2010; 11:356-368. Gilad GM and Gilad VH, "Evidence for oral agmatine sulfate safety - A 95-day high dosage pilot study with rats", Food and Chemical Toxicology 62:758-762, 2013. Gilad GM and Gilad VH, "Long-term (5 years), high daily dosage of dietary agmatine - Evidence for safety: A case report", Journal of Medicinal Food 17 (11):1256-1259, 2014. Zeisel SH. Regulation of “nutraceuticals.” Science. 1999; 285:1853-1855. G-Agmatine® is Gilad&Gilad's proprietary brand name for the multifunctional ingredient agmatine. A natural amino acid metabolite present in low amounts in plant, fish and meat foodstuff. G-Agmatine® is a safe nutraceutical dietary ingredient as proven by clinical trials. G-Agmatine® is effective for nerve resilience and healthier nerve functions and for a better quality of life at the required fortified dose range of 1.335 to 2.760 gram per day as evidenced by clinical trials. G-Agmatine® Additional benefits extend to healthier glucose metabolism and to kidney and cardiovascular health as amply indicated by experimental scientific studies. G-Agmatine® is a high quality product, manufactured for Gilad&Gilad under cGMP (current Good Manufacturing Practice) conditions in accordance with the highest quality standards and regulations governing our industry. G-Agmatine® is protected by patents. FDA "Tips For The Savvy Supplement User"